How did everybody spend their Christmas? I hope you had a lovely time. We ate the most wonderful dinner of Roast Pork, Chicken Salad, Pan de Jamon (a Venezuelan tradition, I’ll show you later) and Hallacas (another tradition). And for dessert, I made the world’s best Pistachio Sandies (I can’t WAIT to show you) and this lucious…creamy, dreamy and light Mocha Mousse. I figures we would need something light after a heavy dinner. 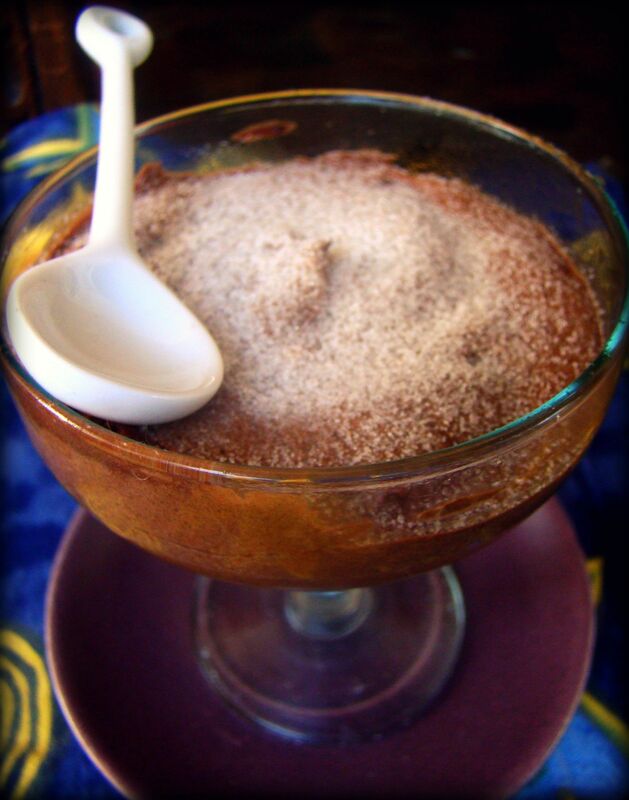 So this mousse totally filled the bill. And you can have it firming up in the fridge in just a few minutes. You probably have all the ingredients there in your kitchen. I adapted the recipe from wonderful and talented La Tartine Gourmand. So this is a mousse, the french way. Meaning, raw egg whites. We are not concerned about that (besides there were no pregnant women or anythign like that) but if you are, you can use pasteurized eggs. I just changed a few things, I changed the cream for milk and butter (all I had, besides who doesn’t love the flavor of butter on chocolate?) and the addition of coffee. 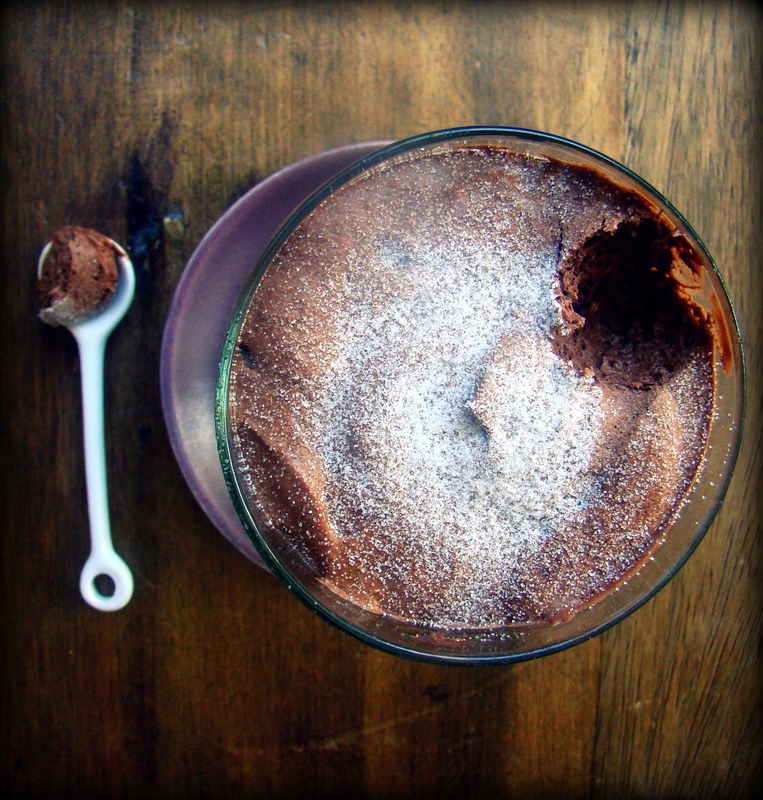 I think everyone should have chocolate mousse on their repertories, is great for parties and I don’t think anyone would turn down Mousse au Chocolat (Yes I love saying that, why?) Make this. Is pure love. 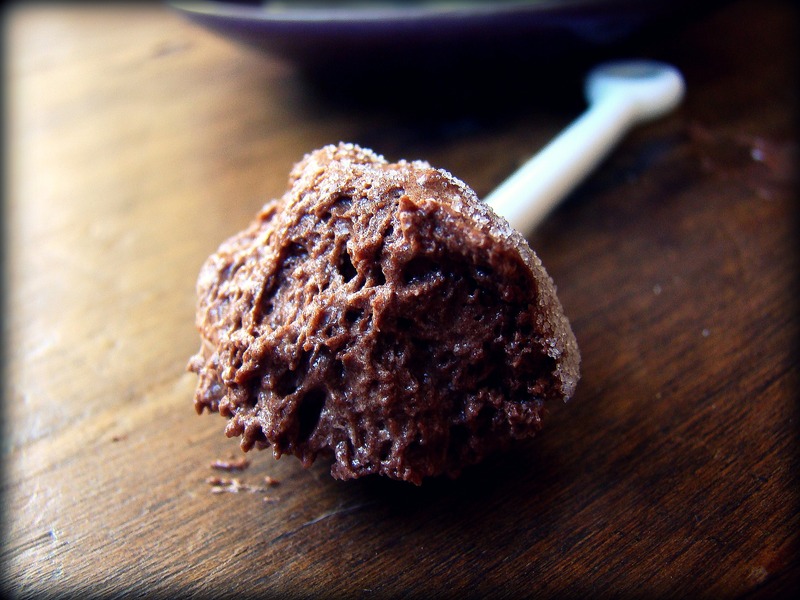 Chop the dark chocolate coarsely and place in a bowl along with the milk, coffee and butter.. Melt over a pot of simmering water. Stir to combine everything and then let it cool down in the counter top for about 5 minutes. In the meantime, whisk the eggs firm with a pinch of salt. 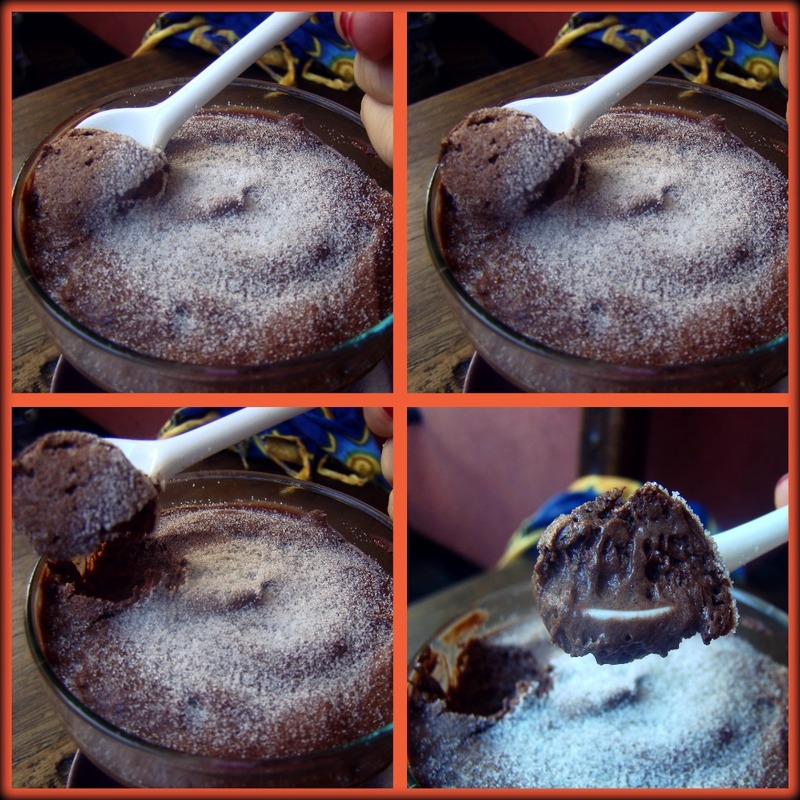 When they start to form soft peaks, add gradually the sugar, never stopping to beat. Fold carefully the egg whites into the chocolate, making sure to keep the preparation light. 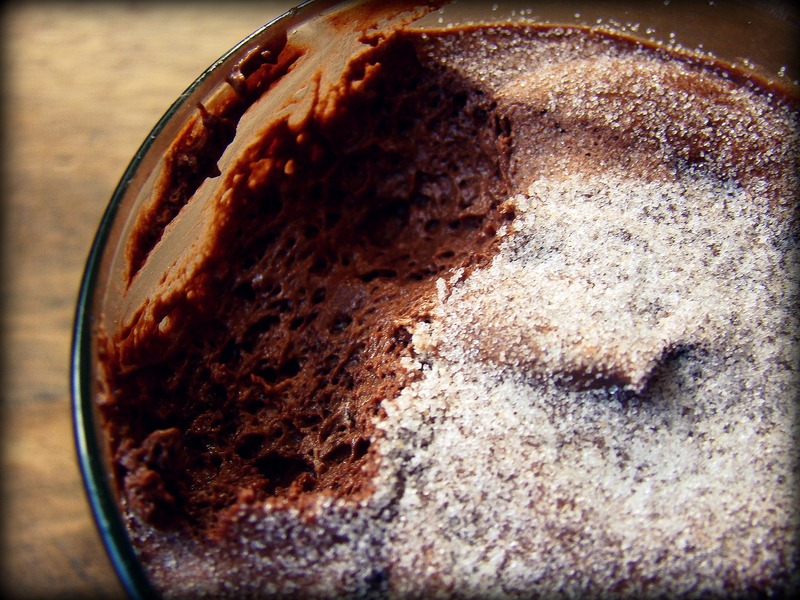 Divide the mousse between glasses and refrigerate at least 2 hours before serving. Decorate with chocolate shavings or powdered sugar. Now let’s talk some music! Have you heard of Regine Spektor right? my goddd she is AMAZING. Not only is her voice out of the world, but her lyrics are one of the most inspirational things I’ve always read. I adore to write and people like her make it a pleasure to feel inspired. Thanks for everyone who stops by and just looks at the pictures. I am so thankful for each one of you.